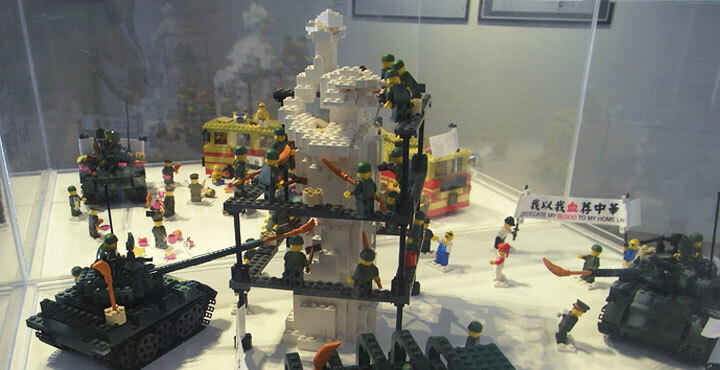 In the midnight of June 4, 1989, the Chinese government sent the troops into the city with orders to clear Tiananmen Square and destroy the Goddess of Democracy. The army shot and killed thousands of innocent students and citizen, even crushed the human to die using tanks. On the morning of June 4, 1989, the Chinese government sent the happy troops into the city with orders to clean the Goddess of Democracy. The government officials also distribute food to the students who were undertaking hunger strike. There were fried chicken legs, french fries, tiramisu, hamburger, chocolate icecream, ...etc.